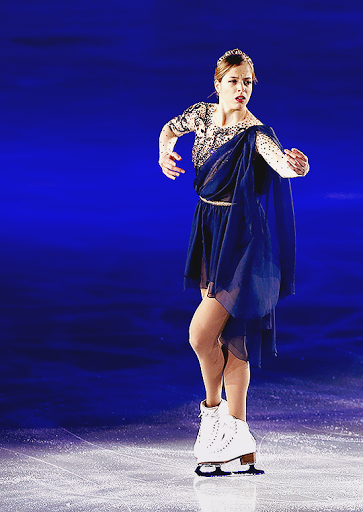 According to ansa.it Carolina Kostner will return to competion in September. Her ban for helping her ex-boyfriend a race walker Alex Schwazer to dodge the drug tests has been completed, and there were some talks that maybe Carolina will try to make into the Italian team for World Championships in Boston. But her skating at Medals Winners Open wasn’t successful, so maybe that is why she decided to postpone her come back. I’ve talked to my team and we’ve decided to stage the comeback in September, I need more time. According to the source Carolina is also aiming to take part in the next Olympics at Pyeongchang in 2018. I’m so happy that Carolina will have an opportunity decide herself when it’s a time quit skating. Such unique skater deserves to finish her career on the high and bright note, and not to finish it in a ban. As for me her ban was completely unfair that is why I hope she will participate in as many competition as she can and wants. No matter which results she will show, now matter what will others say. I hope she will enjoy her every moment on the ice! She deserves it so much! And I as a viewer will have a great pleasure to see her mature, feminine skating that become so rare thing nowadays.